In April, Frisco will hold a contested town council election, and on Wednesday, March 12, local voters will get an opportunity to hear from the four candidates vying for three open seats. The meet-the-candidates forum takes place from 6 to 7:30 p.m. Wednesday at Frisco Town Hall, 1 Main St. During the forum, which will be moderated by Roman Moore, news and sports director for Krystal 93 FM, candidates are expected to discuss their visions for Frisco by addressing key issues that will shape the community and quality of life. Of the four candidates vying for local public office, only one is running as an incumbent, and last week Kimberly Cancelosi provided a taste of what her vision is for Frisco’s future. 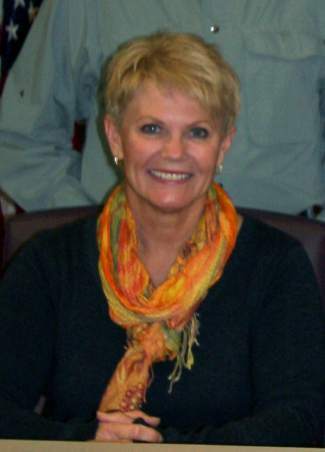 Cancelosi, an attorney and Frisco resident for 19 years, was elected to the council in 2010. Although not an incumbent, town council candidate Daniel Kibbie ran in 1992 for mayor. As an avid traveler, a 26-year resident of Frisco who built his own home and 22-year veteran of Copper Mountain Resort, Kibbie said he has a wide range of experiences to lead Frisco into the future by putting the “adventure” into the Frisco Adventure Park and focusing on affordable developments to house the local workforce community. “I want the same as everyone else: to be able to live and work in such a great town as Frisco,” Kibbie said in a statement. “It has taken (me) 20 years to get the balance between work, play and living here, and we need to help the people of Frisco reach their dreams so they too can work, play and live here happily. Hunter Mortensen and Donna Skupien are both making their first runs at town council, but come from two very different backgrounds. Mortensen was born and raised in Frisco, and has resided in town for 31 years. As a professional ski patroller, Mortensen has sat on the board of directors for the Summit County Rescue Group, but said he made the decision to run for town council to give back to his hometown community that appears poised to address a variety of challenges from growing tax revenue to infrastructure repairs and improvements to accommodate future growth. “As a native of Frisco I bring a unique perspective that the council has not had before,” Mortensen said in a statement. “I not only remember where we have come from, but I also represent the future of this community. Skupien, owner and creative director of Bridgewater Design, also is making her first bid for town council, but the seven-year resident is no stranger to public service. Since 2007, Skupien has served on the Frisco Planning Commission and also previously served on the Frisco Marketing Committee. Like Kibbie, Skupien also thinks Frisco lacks enough affordable housing and rentals to meet the demands of the local workforce. She also sees new business development as a vital component of future stability. Community members unable to attend the forum may view a video recording on SCTV10’s website: http://www.summitnews.com/index.html. Ballots for the April 1 election will be mailed to all town of Frisco active registered voters Monday, March 10. Voters who will be absent from their residence during the mailing period can request an application for an absentee ballot no later than 5 p.m. Friday, March 28. For more information, contact Deborah Wohlmuth, Frisco Town Clerk, at 668-5276 x3034 or deborahw@townoffrisco.com.